Below is a picture of my grandfather Edward Brodie who served on HMS Bulwark. As you can tell by the name on his cap. He died in May 1973 right before my 5th Birthday. Is there any log of what he actually did on the ship? His family was from Campbeltown, Argyll, Scotland and Ireland before that. There are still many relatives today living in Campbeltown, Portsmouth England and around the world as far as Melbourne Australia. I live In the United States. Any info would be greatly appreciated. I hope you enjoy the picture. 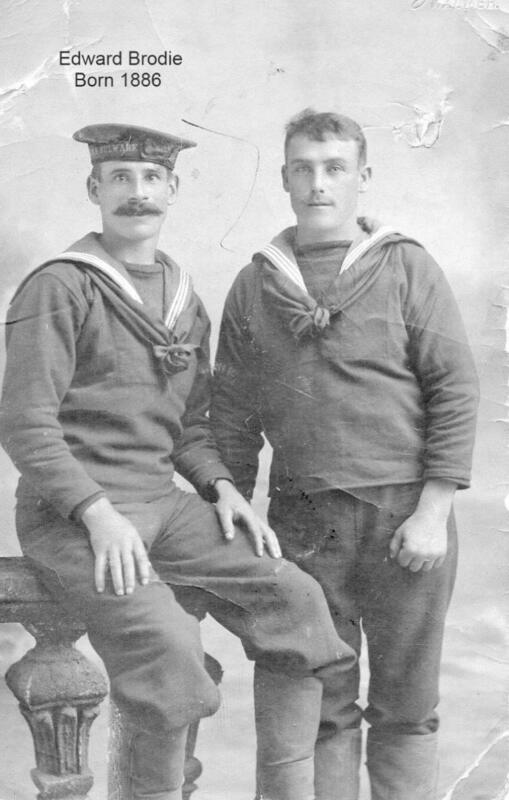 My Great Grand Father lost his brother Owen Phillips who was an able seaman aboard HMS Bulwark. This vessel was lost with most hands on 26 Nov 1914, as I am sure you know. I would love to hear from others with relatives that died on the Bulwark and especially if anyone has relevant photos.